The motorized components should usually not need any ongoing maintenance, other than to keep the outer casings clean and dry. The battery has almost no need for any routine maintenance other than to be used. Anything that slows the bike down forces the battery to work harder. This shortens the time between charges and therefore, shortens the battery lifespan and it also means you can travel less distance on a single charge. Before each ride, make sure your battery is charged and secure and that all connections are tight and nothing is loose. After each ride, turn off your battery or disconnect your battery from the controller. Modern electric motors, under proper use, are completely maintenance free. They should serve you even long after your bike is too old to ride on. You should use the motor in accordance with it's unique specifications. Pay attention to it's allowed operations points especially if you are thinking about modifying you e-bike or starting a do it your self project. If the motor wears out, there is actually not a lot you can do beside replacing it. Motors are pretty cheap this days so it's not such a big problem. 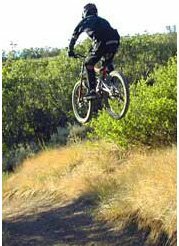 Depends on the motor mounting configurations, you should expect it to cause pressures to different bicycle parts. Even the chain could wear up quicker if the motor is attached to it. The controller is compatible with specific voltages and amperes. It shouldn't bother you expect if you are building your own e-bike from scratch or want/need to replace your current controller. Before any change, make sure you sure about the power rating of your system. And if not, contact the manufacture or the place you bought your e-bike from. It is advisable to disconnect the battery wire from the controller when not in use, especially when the e-bike is not going be used for a long duration. Avoid opening up the controller case, you may be unable to reseal it, making it more prone to weather damage. Use only the supplied charger. Do not expose it to rain or other extreme weather conditions. Whether leaving the charger plugged into the battery for extended periods of time is OK or not depends on the battery type. Just check the lights are working before riding. In some e-bikes, the lights are getting their power from the same battery that is used for the motor. Therefore, when the motor is dead the lights will be dead also. The console display on your handlebar was created so you can easily see it while riding. If, for some reason, you have to get into a strange position in order to see the display, readjust the handlebar position. Be sure that the grips is not loosed or damaged in any way after the adjustment. 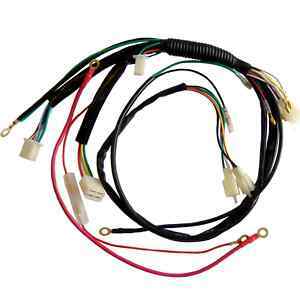 Before every ride, check for wiring faults. You don't want to have wire hanging loose. They need to be attached nicely to the frame in a manner that offers the maximum protection. Every couple of month, visually inspect all your connectors and connections. Make sure all connectors looks OK. No mud, rust free or signs of burning, corrosion. Mongoose frames can save trouble in the long run because rain, snow and direct sunlight won't affect the wires.